With Thanksgiving around the corner, cranberry-inclusive recipes are definitely in order. 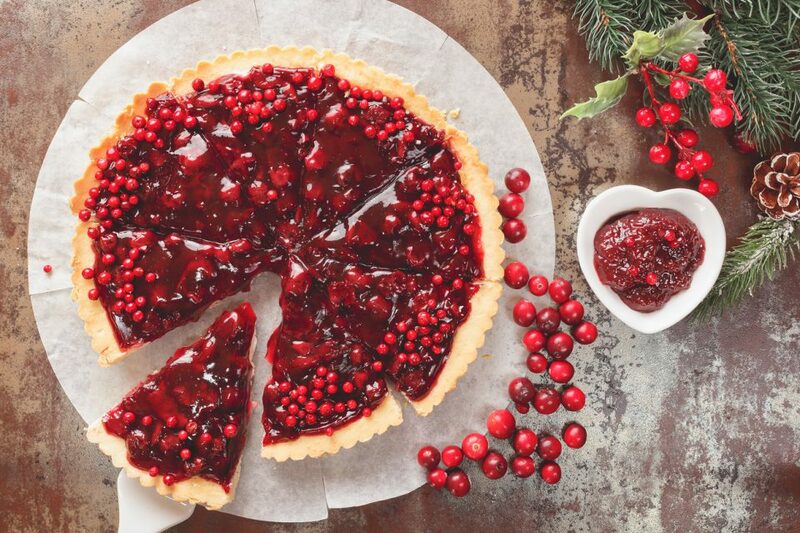 Get festive with these satisfying cranberry desserts during this holiday season. Of course, apple pie is an all-time American favorite – but have you tried it with cranberries? Take this dessert to a whole new level using this simple recipe. Step 2: Mix the apples, cranberries, sugar, orange zest, cornstarch, cloves, cinnamon, and nutmeg together in a bowl. Set aside until the oven reaches the appropriate temperature. Step 3: Spoon the pie filling into the crust. Be sure not to overfill the pie. (If you have any excess filling, set it aside and use it for another baked creation instead). Step 5: Cover the pie with the lattice crust or with a 12-inch pie dough crust. Step 5: Brush egg wash over the top of your pie crust. Step 6: Place your pie on a large baking sheet and bake it in the oven for about 20 minutes. After 20 minutes, reduce the temperature to 350 degrees and bake for another 30-35 minutes. Step 7: Allow your pie to cool completely. Then, serve with a scoop of Homemade Vanilla Ice Cream and enjoy. This quick twist on cranberries is both simple and delicious. You can use these little guys to decorate a baked dessert, or eat them individually as little candied treats! Step 1: Combine 1/2 cup of water and 1/2 cup of sugar in a small pan. Heat on medium-low and stir until the sugar is dissolved. Step 2: Add the cranberries to your mixture and stir until they are all coated. Step 3: Take a spoon and transfer the cranberries to a wire rack. Allow them to dry for about an hour until they become tacky. Step 4: Empty out about 1 1/2 cups of sugar and roll a few cranberries in it at a time. Allow them to dry overnight. Step 5: Eat the Sugar Coated Cranberries individually or enjoy them alongside cake, pie, or ice cream. Try out these other cranberry recipes we found online. Are you interested in making these cranberry desserts yourself? Hop into a vehicle from Hendrick Honda Bradenton and head out to the store nearest you to pick up the ingredients you’ll need.